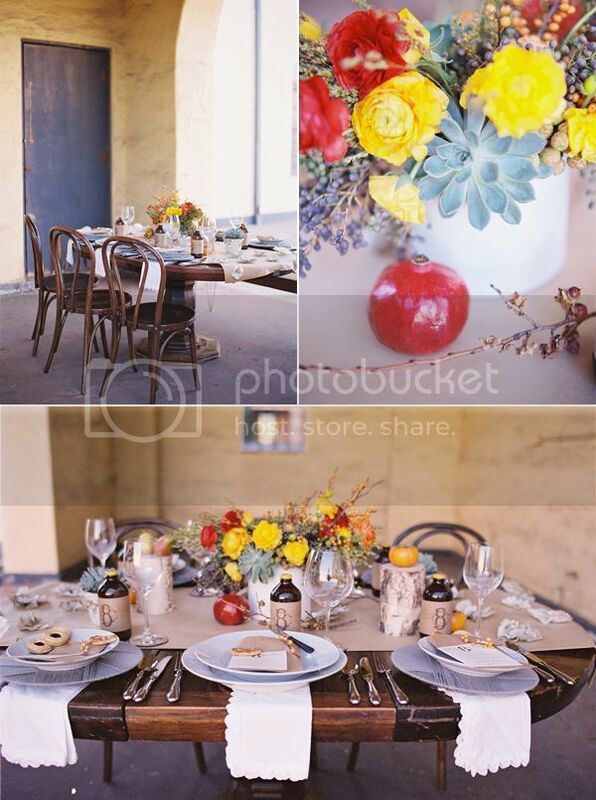 I really wanted to design a fall-inspired shoot based on fruits, wood, and lots of texture and color. 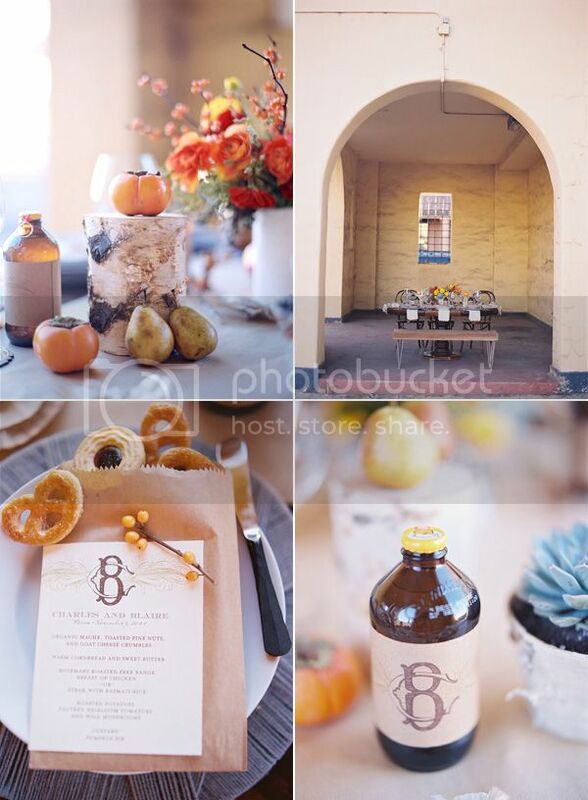 The idea started with the idea of birch wood stumps and persimmons. My favorite aspect to the table was the custom made yarn-covered chargers, which adds such a cozy touch to the table. The brown craft paper table runner was a fun DIY project that incorporates cupcake liners of various sizes made into flowers in different shades of neutrals and gold. 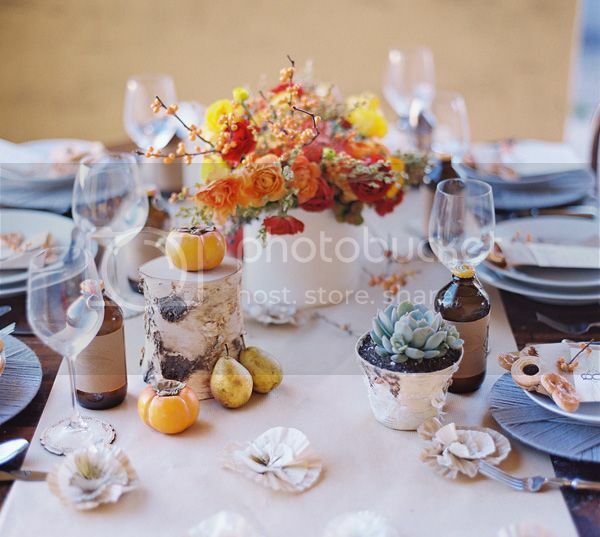 This table is organic and natural, but has strong pops of color in the fall fruits and potted succulents. 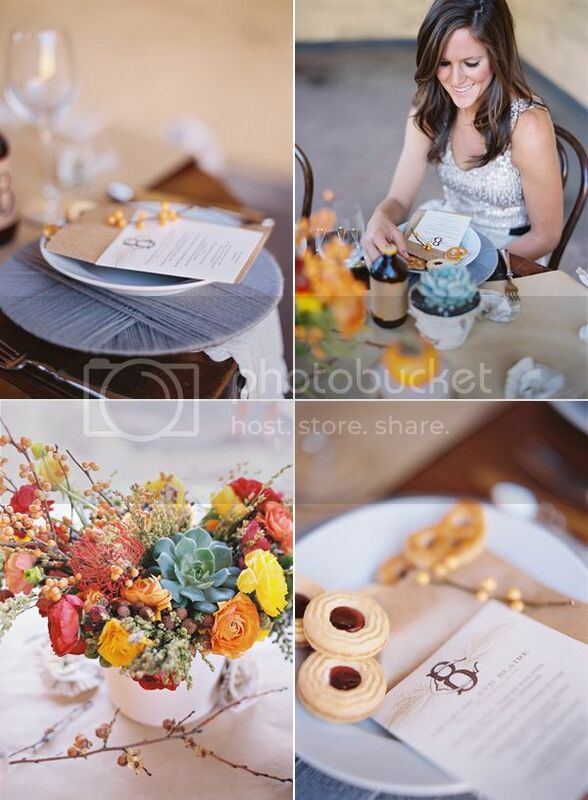 Guests are served old-fashioned cookies as favors in the mini brown paper bags, which also doubled as the menu. We loved the height and variety of textures to this table that create such a warm and fun table for any Thanksgiving feast! Potted succulents are an unexpected touch, but I think they fit really nicely on this table, and echo the gray in the yarn chargers. 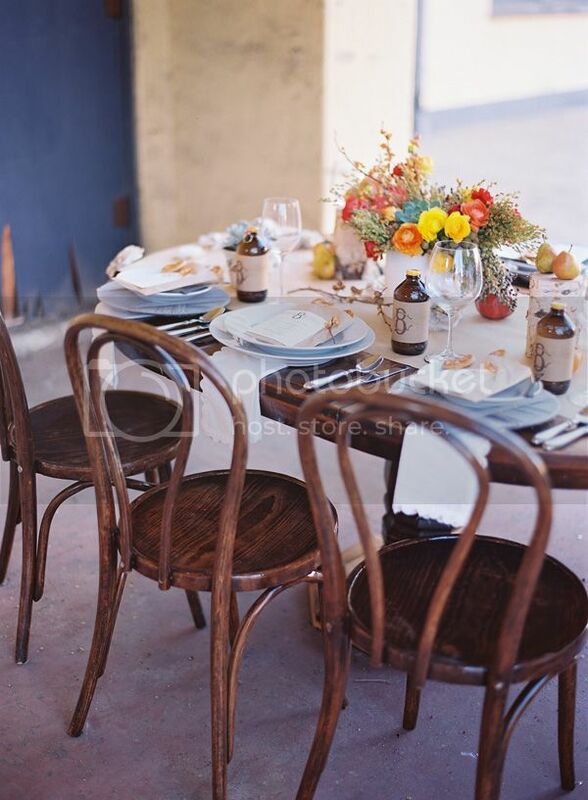 Design / styling: Carter & Cook Event Co.
Doesn’t this make you even more excited for Thanksgiving? 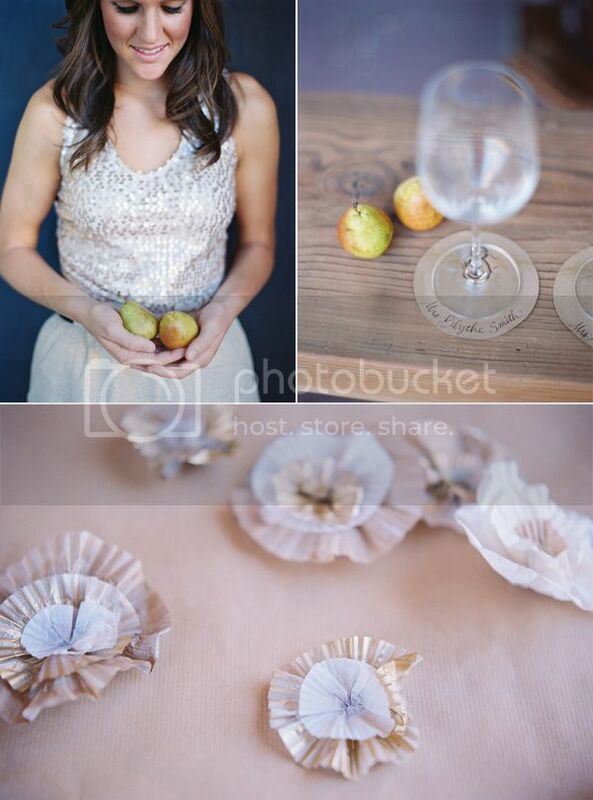 I love the menus that double as favor bags, and I especially love the place cards under each wine glass. Thank you so much to Carter & Cook Event Co. and Jill Thomas and all the other vendors involved for sharing these fun tables with us. And in case you missed the first table, check it out right here. Hi Lauren! All the clothes were from Charlotte Russe actually! Thanks, Ashlyn! Perfect for all those holiday parties coming up! So beautiful! I wish it was my wedding. But seriously i loved the idea of little cookies in a bag placed on the plate. So lovely! Wow, so warm, intimate and beautiful. Love this to bits!